Stand Up For Mental Health Is Everywhere! Most people think you have to be nuts to do stand up comedy…Counselor and Stand Up Comic David Granirer offers it as a form of therapy! 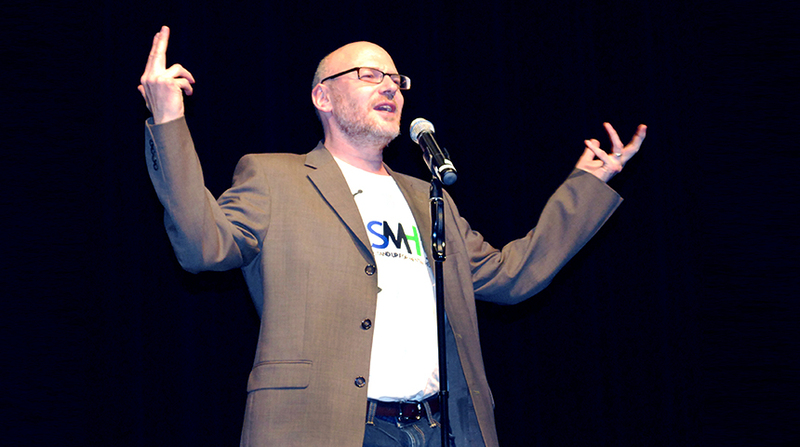 In David’s Stand Up For Mental Health course, mental health consumers turn their problems into stand up comedy, then perform their acts at conferences, treatment centers, psych wards, for various mental health organizations, corporations, government agencies, on college and university campuses, and most importantly for the general public. Stand Up For Mental Health trains groups throughout North America in partnership with dozens of different mental health organizations. Click here to partner with David and bring Stand Up For Mental Health to your community. Stand Up For Mental Health gives programs throughout North America and Australia, everywhere but the Vancouver, B.C. area. If you’re interested in our Vancouver B.C area programs click here to go to the SMH Comedy Society website.